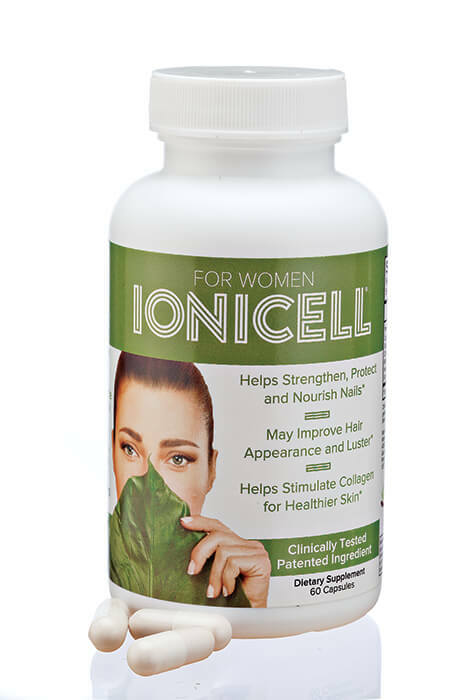 Enhance your beauty from the inside out and enjoy a more youthful appearance with IoniCell for Women. This antioxidant supplement is specially formulated and clinically proven to help women's bodies generate collagen, rehydrate cells and improve cellular performance. Formulated with Ioniplex®, a Fulvic acid mineral in ionic form that can contain up to 65 essential, macro and trace minerals. Fulvic acid is highly bioavailable, penetrating cell membranes to deliver nutrients at the cellular level. Once absorbed, Fulvic acid nourishes scalp follicles to improve hair appearance and luster, strengthens and protects nails, stimulates collagen for healthier skin, and protects against cellular damage that ages the body. Antioxidant power of the multivitamin for women helps neutralize free radicals and remove heavy metals and other toxins from the body. Easy to swallow capsule absorbs quickly, with results in as little as 6 weeks. To use, take 1-2 capsules daily. Non-GMO and gluten-free. 60 capsules. Serving size: 2 capsules, servings per conainer : 30 Capsules. 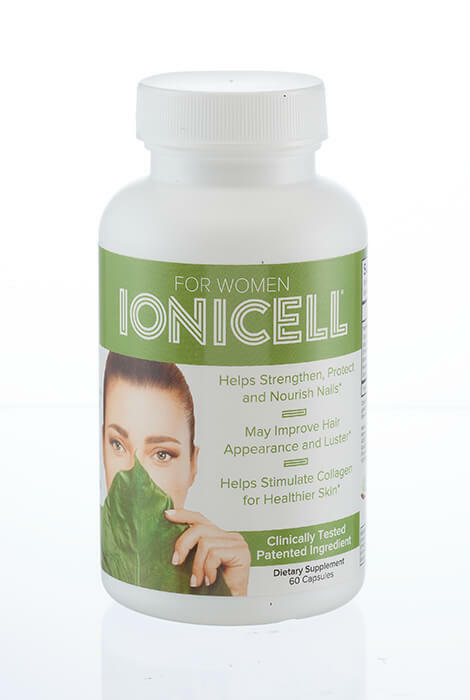 Ioniplex Fulvic Ionic Mineral complex 600mg*, calcium, magnesium, phosphorus, potassium, sodium, manganese, vanadium, zinc, iodine, chromium, molybdenum, copper, suulfur, silicon, boron, barium, zirconium, lithium, rubidium, neodymium, lanthanum, antiomny, cobalt, silver, platinum, iron. * Daily Value not established. Others: microcrystaline cellulose, gelatin, silicon dioxide, magnesium stearate and titanium dioxide. Other Ingredients: Microcrystaline cellulose, gelatin, silicon dioxide, magnesium stearate and titanium dioxide.